Max/MSP is a graphical programming environment very useful to prototype software for live performance. Of course you can use it for more than prototyping, but I find it very efficient to rapidly test ideas. I tend to use it very often, even for non interactive tasks like recording my band rehearsals. It can be useful if you’re not familiar with more traditional code developpement, and are looking for a specific interactive behaviour with sound, gesture, video, etc. I’ve been using Max/MSP for a little more than 10 years now, but I remember that learning the first steps on my own was a little tricky. I guess having someone showing you the way around at the beginning can help a lot. That’s why I think attending an intro class can be so valuable. 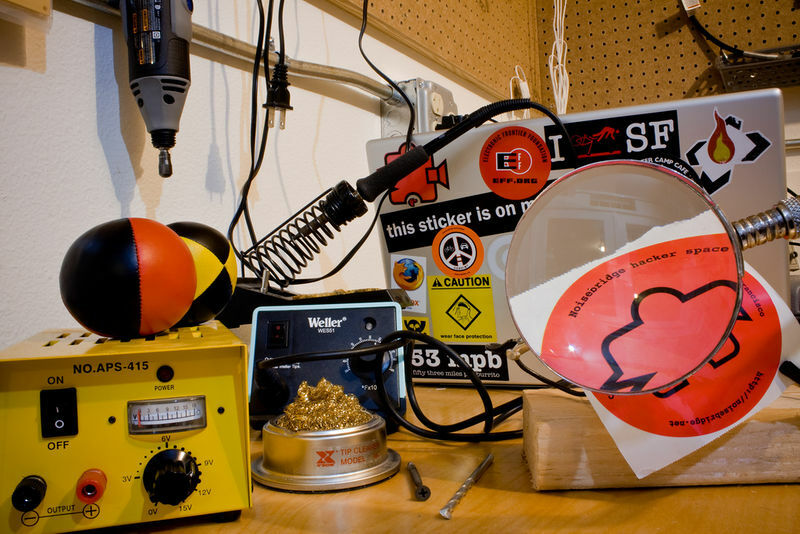 I gave a couple of classes in April at the Noisebridge hackerspace in San Francisco, with a hands-on approach. We worked on two polyphonic instruments : one using modulations of a sinewave, and the other one triggering the same audio sample at various speeds.